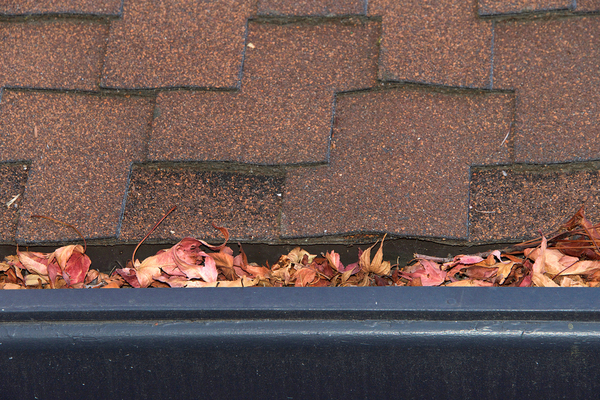 Getting a gutter guard can remove this chore from your regular to-do list. Is your home landscaping easy to manage, or do you find that maintenance takes up a lot of your time? If it’s the latter, then your tools could need an upgrade. By using the right tools for the job, you’ll find that home landscaping is a little easier, because your tools do the heavy lifting for you. A tool isn’t just an object that you buy, either: plants, mulch, and gravel can just as easily fill roles such as water management in your garden. Lawn maintenance can be a huge cost to your family, both in terms of time and money. You not only need to cut the grass, but you also need to remove things like trees and blossoms from the lawn, aerate and fertilize, and keep that grass looking green. How can you do this? Get a rake with an ergonomic design and a flexible spring so that you’re not bending and twisting as much as you rake. A leaf blower can be a good investment if you have many leaves or you find that you’re struggling with a larger property. Find a string trimmer for the spots that you can’t get to with your lawnmower. Hire a fertilizer or aeration service or use a spreader tool to ensure that your lawn is well covered in fertilizer, but not too well covered. How can you grow a garden that looks superb but is simply effortless? That takes some work up front, but it is doable. You need the right tools for the job. Get a manual hand pruner such as a Felco for those tough little pruning jobs. Invest in a pruning saw for jobs that are a little larger. This will prevent you from ruining your pruners when the job is too large for them. Find a single piece garden trowel. That way, it’s harder for your trowel to bend when you’re doing heavy digging. Consider adding tall raised beds if bending is getting difficult. Replace some of your garden plants with plants that love hot, dry weather. Also add landscaping elements that don’t require any extra care, such as a Japanese rock garden. Developing no-dig areas of your garden called lasagna garden beds, where you place organic materials such as leaves on top of each other in piles, building up the soil structure as you go. Using mulch as a tool in your garden. Add it on top of the soil to protect it from becoming hard and dry or too wet. Creating containers for your compost, so that you can create leave mulch and compost from garden and kitchen scraps. How are the pathways and driveways around your garden? If they’re poorly-maintained, they can be a safety issue. If they’re well-maintained, they add curb appeal to your home. Placing stepping stones down on the ground can be one of the simplest, lowest-maintenance ways to develop a garden path. Add metal edging to very informal gravel paths, and you’ll stop gravel or mulch from moving into the garden. If you have a rock or brick pathway, add plants that grow slowly over the path, such as thyme. This will disguise the edges but won’t need a lot of maintenance. Get a gas-powered sod cutter to cut the edges of the grass if you have a longer path. This will prevent you from using your space to do all of it by hand. Place lights in strategic locations for safety purposes, such as lighting on the stairs up to your deck or your front door. Add solar pathway lights that automatically turn on when the day turns into evening. Use solar fairy lights in the trees to create ambiance on summer evenings. Add awnings to your home to create shade on sunny days. Place an arbor in a location that could use some plants or a focal point, and add a seating area in the shade under the arbor. Add seamless gutters and gutter covers attached to appropriately-sized downspouts so that you won’t get leaks and clogs in your gutter system. Even better, you’ll never need to clean out your gutters again. Use a rain barrel to collect some of the water from your garden so that you can use it during the dry parts of the year. Add a French drain system to collect and move water around your garden. Develop a system of swales and rain gardens if the water in your garden tends to overflow or create puddles. Lean on impermeable surfaces when you’re looking for building materials so that rain can fall on them and go right through, placing that water into storage in the soil. At Harry Helmet, we want to ensure that your home is safe, beautiful, and easy to maintain. How do we do this? We help you install the seamless gutters, gutter covers, roofs, and awnings that you need and trust. Talk with us today about the many tools that we use to make your home maintenance easier, and schedule a free estimate today.